Well, let's start from the ingredients. Water is the main ingredient of any beer. That is why its quality is so important. At Lord Chambray we take great care of treating our water in the best possible way. Its high purity is guaranteed by the reverse osmosis process. In simple words, we make use of a semipermeable membrane to “filtrate" the impurities that are detrimental to the brewing process, including any excess of salts or suspended matter in the water. 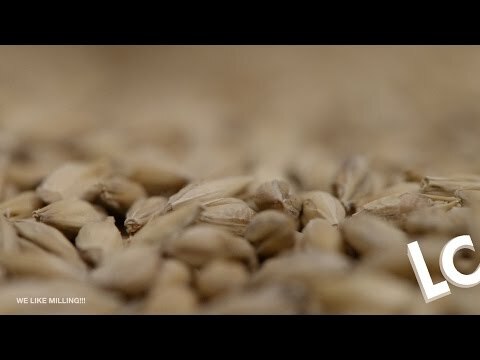 The barley malt we use for brewing our beers is well-selected between a wide range of base and speciality Belgian and English malts of the highest quality. This main ingredient has unique characteristics because it provides flavour and colour. 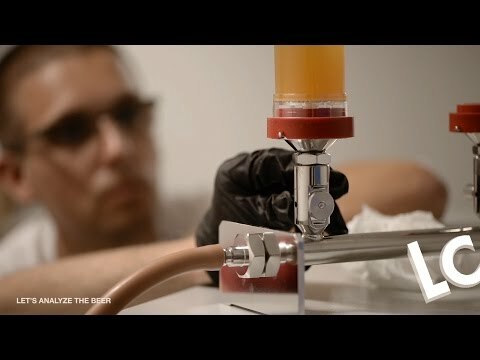 What makes craft beer tasty? Hops. That’s for sure. 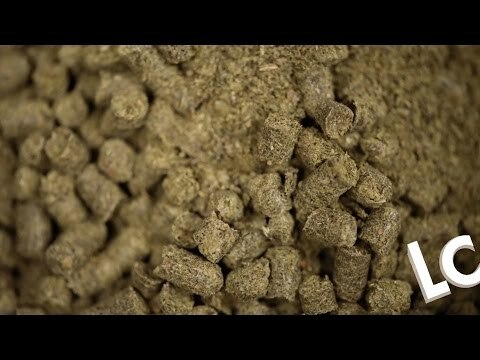 Hops provide bitterness, flavour and aroma without forgetting that the hops are natural preservatives. At the brewery we use different varieties of hops from the USA, the UK, Germany, Slovenia, Japan and New Zealand. The yeast is responsible for converting sugar to alcohol and carbon dioxide during fermentation. 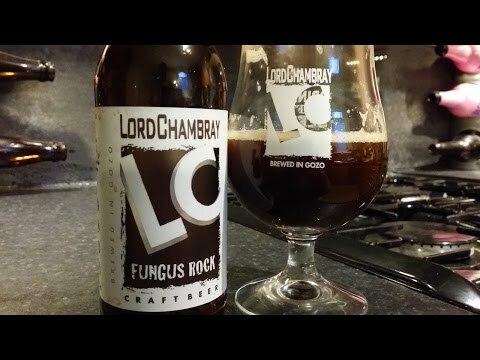 At Lord Chambray we choose the highest quality dry yeasts which are supplied by the best dry brewing yeasts in the world which have been used for years. 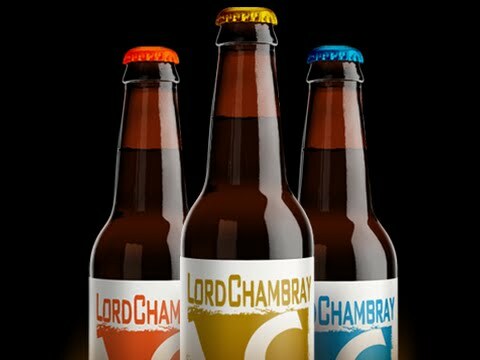 All of Lord Chambray's Beers are unpasteurized and bottle conditioned, an old-world brewing tradition that creates a secondary fermentation in the bottle, resulting in a beer that tastes fresher, better and longer. 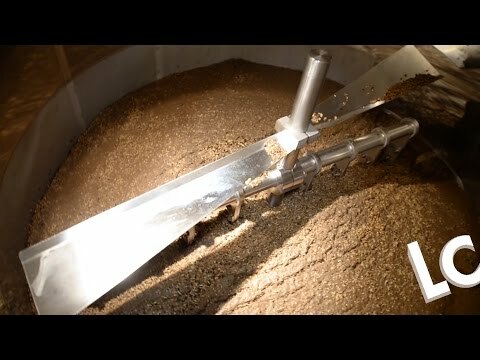 Once this light crushing process is completed, the malt is placed in a large vessel called the mash tun, where hot water and barley grains become mash. This mixture is heated to predetermined temperatures to enable the natural changes to take place. Once this temperature is reached, the sugars present in barley grains are modified on their own and become maltose and sucrose. These are the kinds of sugars that can be fermented and transformed into alcohol. The next step in the brewing process is to take the mash and separate out the spent grain from the sugary liquid which is called wort. This process is called lautering. The liquid is then transferred to a second kettle heated to a high temperature and then the hops are added. After it, the wort begins to take its characteristic on thanks to the use of a varied range of hops in large quantities. 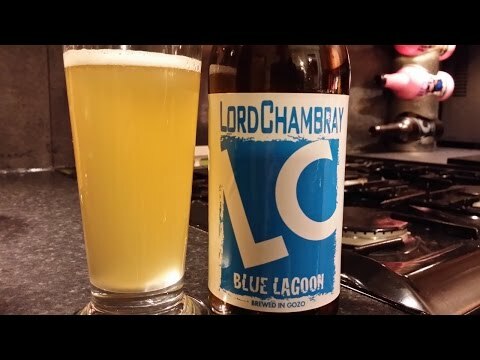 That is why Lord Chambray beers, like other craft beers, are much more fragrant than those produced using the industrial process. Once the boiling point is reached, the hops are removed using a whirlpool and the result is 1,200 litres of boiled, clean wort. Sophisticated heat exchangers are then used to cool the liquid from 100°C to 20°C in a compact space. This is the temperature at which fermentation takes place. The liquid is transferred to the conical fermentation vats. A small quantity of yeast is added and the fermentation process takes place over an 8 - to 12-day period. After that, the beer is left for several days for maturation. Thanks to the use of the centrifuge, the liquid is separated from various types of suspended particulate, including yeast, trub, and hop residue, each with a different density. At the end of this process the beer, which was hazy, will become clear. 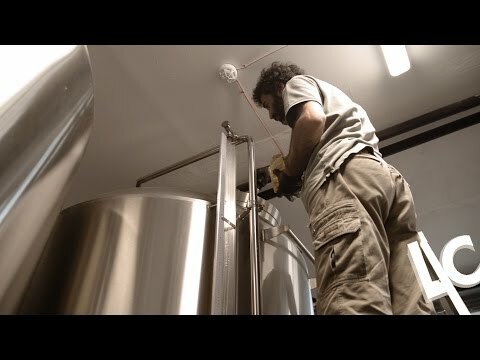 One of the last steps in the brewing process is bottling the beer. 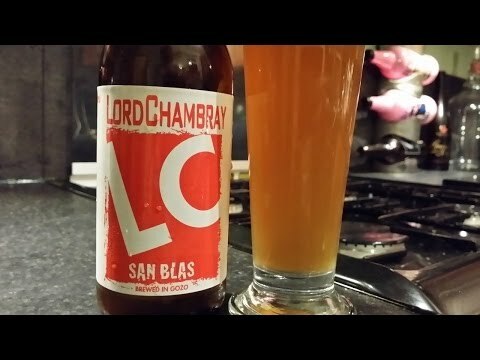 At Lord Chambray, instead of force carbonating, a bit of yeast and sugar are added to the beer to bring on a second fermentation inside the bottle. 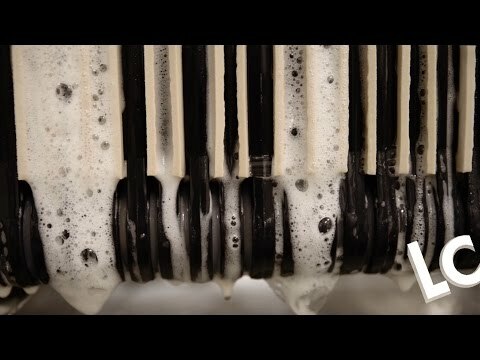 This process, which lasts about one week, enables the beer to take the right quantity of gas in a way that, when the bottle is opened, it will produce the froth and the bubbles. 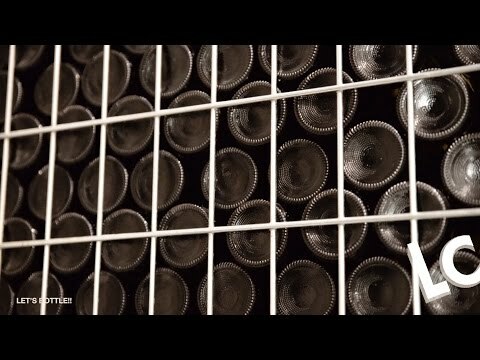 Bottle conditioning can also enhance the shelf life of beer, as the yeast will consume any oxygen that seeps into bottled beer. Check out the nearest place where you can enjoy your favourite Lord Chambray. 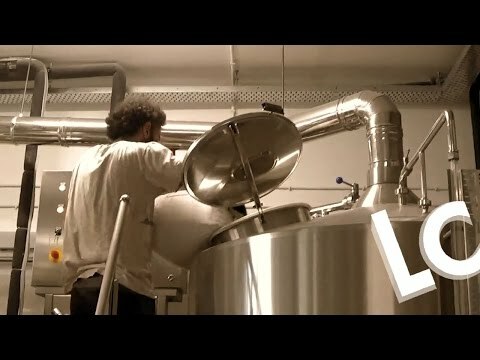 WE’RE AN INDEPENDENT BREWERY MAKING THAT KIND OF TASTY, FLAVOURFUL BEER WE WANT TO DRINK. 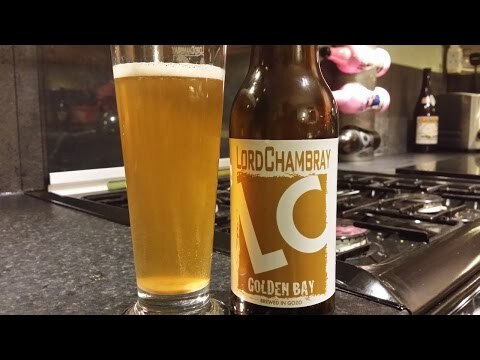 Lord Chambray Brewery is a craft brewery on the island of Gozo, the first one of its kind in Malta’s history. The brewery was founded in 2014 by the D’Imperio family, who first visited Gozo in the late ‘90s and immediately fell in love with it. Today we’re proudly independent and local, brewing and bottling our approachable beer on the tiny island of Gozo. After exploring the hinterland or catching up with friends, in this part of the world people enjoy having a beer. We brew beer for times like these - beers for the locals, friends passing through and those who appreciate good beer. This region's natural beauty, the colourful and community-minded people and the conscious approach to living inspire us and our beers. Do you have any questions, requests or comments? Please, feel free to contact us! Get ready for a night of unique beer and food combinations. 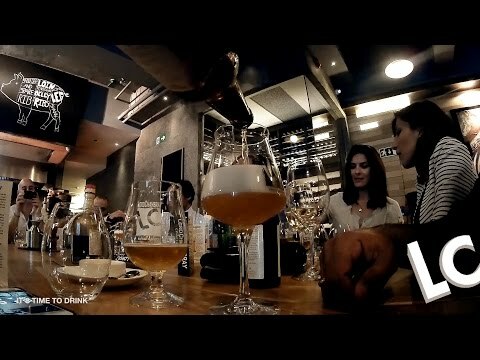 Lord Chambray and The Pulled Meat Company have teamed up to present you with several dishes and beer pairings where you will be exploring different flavors, food techniques, and discover the perfect beer style to match each dish. It will be a unique flavor experience not to be missed! !Price per person including flowing water and coffee: €35 per person. Make your reservation now on: +356 2134 1050 50% deposit is required to confirm booking. This can be paid at any The Pulled Meat Company or via revolut on 99906056. Menu: 1. WELCOME BREW: BLUE LAGOON; 2. COTTO E CRUDO, an assortment of the house charcuterie, toasted barley focaccia and citrus chutney and hops infused butter paired with GOLDEN BAY; 3. BABY LAMB AGNOLOTTI, braised baby lamb and offal stuffed agnolotti, served in a reduction of lamb jus paired with SAN BLAS; 4. SMOKED PORK RIBS ON MUNICH BARLEY TACO, pulled smoked pork ribs, coffee rub and dark chocolate emulsified sauce, pickled chilli, crispy 30day aged bacon paired with FUNGUS ROCK; 5. LEMON & ROSEMARY CHEESECAKE, deconstructed rosemary and lemon cheesecake, candied-dried orange peel and local honey paired with WINTER ALE. Upcoming fundraising event in aid of Gozo SPCA, at Lord Chambray Brewery in conjunction with The Chippy mobile fish and chip van. Fish, chips & mushy peas plus a Lord Chambray beer for €10 - €8.50 (children). Food will be served from 1pm till 4pm. Given that food will be cooked fresh, if everyone is there at 1pm, many will have to wait, but that means more beer drinking time. Alternatively if you are likely to arrive later that would be great. REMEMBER: A PORTION OF PROCEEDS FROM THE SALES WILL GO TO GOZO SPCA GIVING OUR FOUR-LEGGED FRIENDS A SECOND CHANCE AT LIFE! P.S. If you only want a beer that's fine, the brewery will make a donation to Gozo SPCA for every drink sold, and no need to book. Beer Vs Wine: The Duel. Eat, drink and judge. BE THE JUDGE DURING THE COMPETITION. For the first time ever in Malta, we are proud to introduce a new concept of event: for each dish we'll suggest both a glass of wine and a glass of beer. After each course the attendees will choose the best match. At the end of the event you'll proclaim the winner.